This is one dish we make atleast once a week. Best eaten with kung pao chicken. Its one of our favourites. 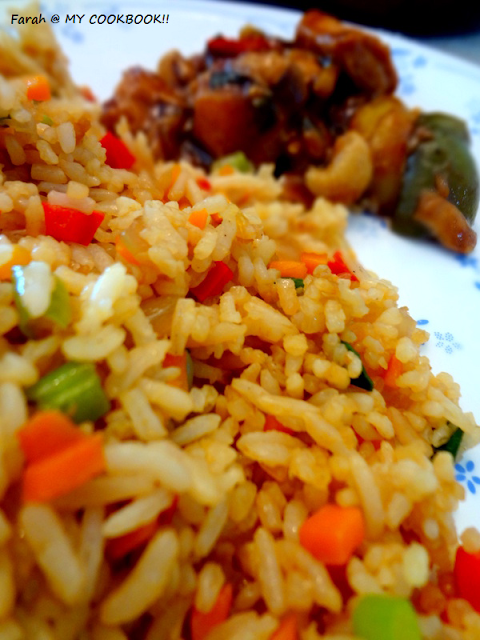 I make this with our everyday rice. You dont need Basmathi unless you want the long grains. Its so simple. I cook the rice separately in the rice cooker. 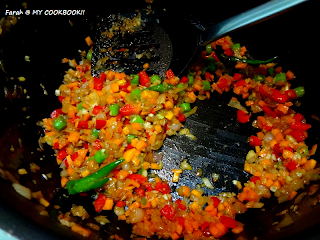 Then make the veggies separately and mix the rice in the end. Ta Daaa...........! 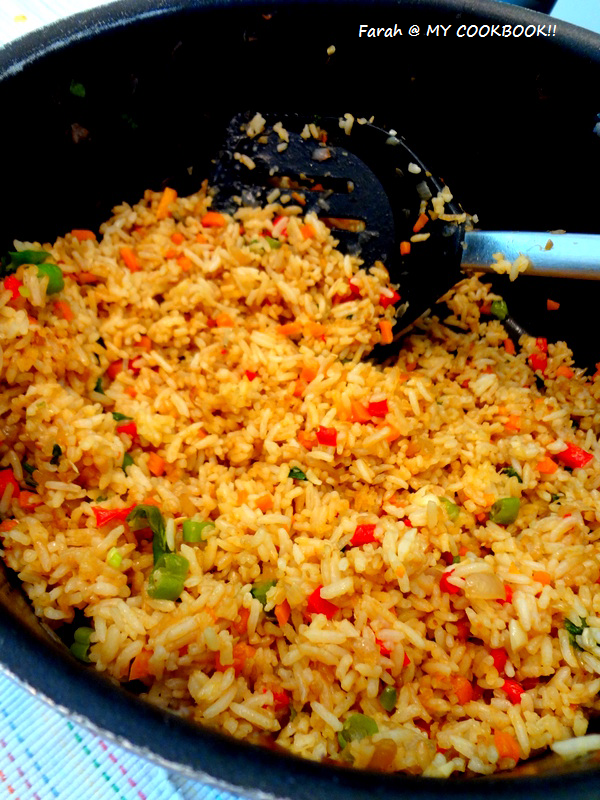 Fried rice ready! :) You gotta believe me that its so simple and tasty! In a wok, heat some oil. Saute the onions until slightly brown. Add the chillies and ginger garlic paste. Stir for a half a minute. stir for a few minutes. Add salt and stir. Add the oyster sauce and stir. Mix well and stir in the spring onions, black pepper and soya sauce. stir well and remove from flame. You can scramble eggs separately and add it to your rice in the end. If you want to add chicken, cut tiny pieces of chicken and add it after the ginger garlic paste. That looks delicious..i luv to add tiny chicken pieces to my bowl...luv it. 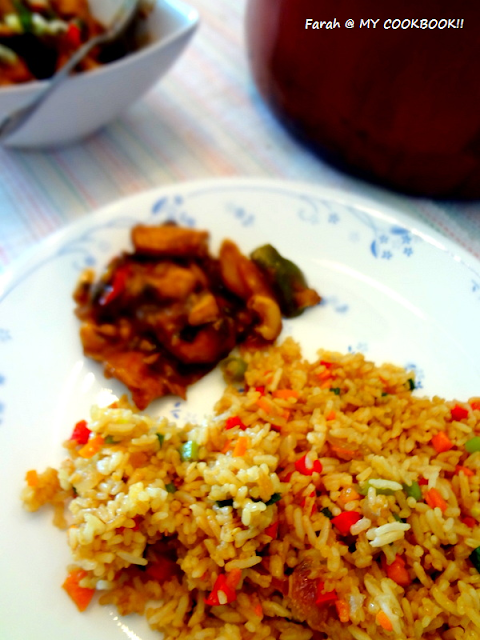 Inviting and very tempting fried rice. Very colorful and tasty rice..
beautiful click.. looks so yummy n colorful..
Yummy rice, very colorful and tempting.